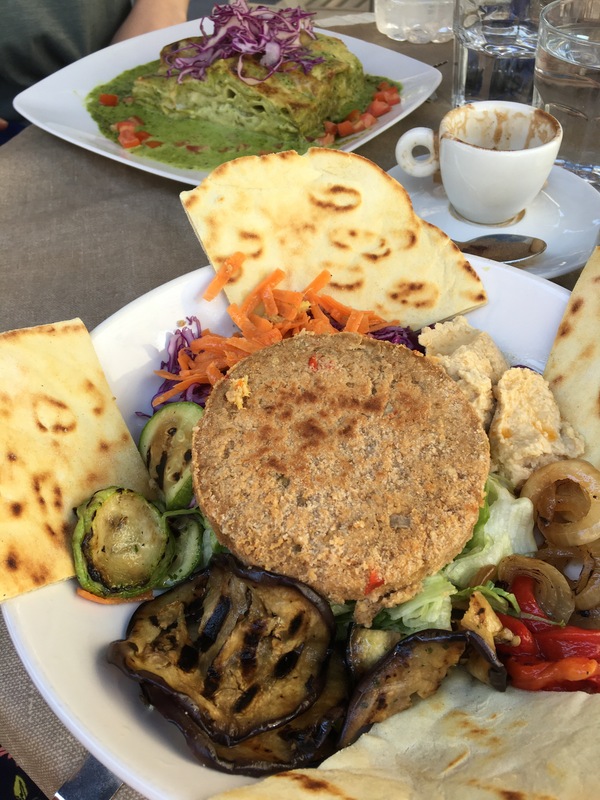 Valletta, Malta may be small, but it’s certainly not lacking in vegan options. A country made up of islands off the coast of Italy, here you’ll take a break from your typical “try hard” vegan food. You won’t find vegan dishes trying hard to be a Philly cheesesteak sub. You won’t get donuts and mac and cheese, and any other vegan substitutes to your comfort food. 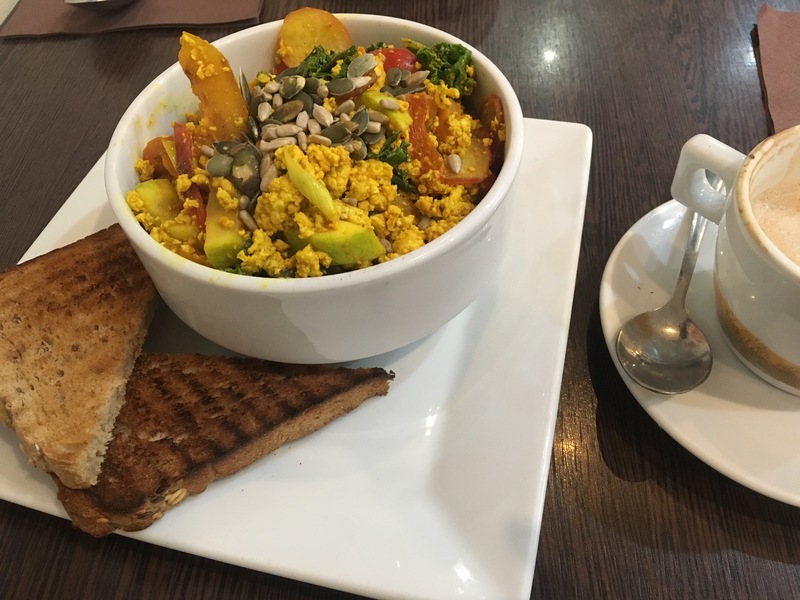 Not to say those aren’t amazing, but Maltese vegan food will refuel you with all the beauty and taste of simple vegan ingredients in nutritious dishes. If you’re American, think veganism ten years ago, but it’s so much better. It’ll give you all the energy you need to climb those Malta steps all day! 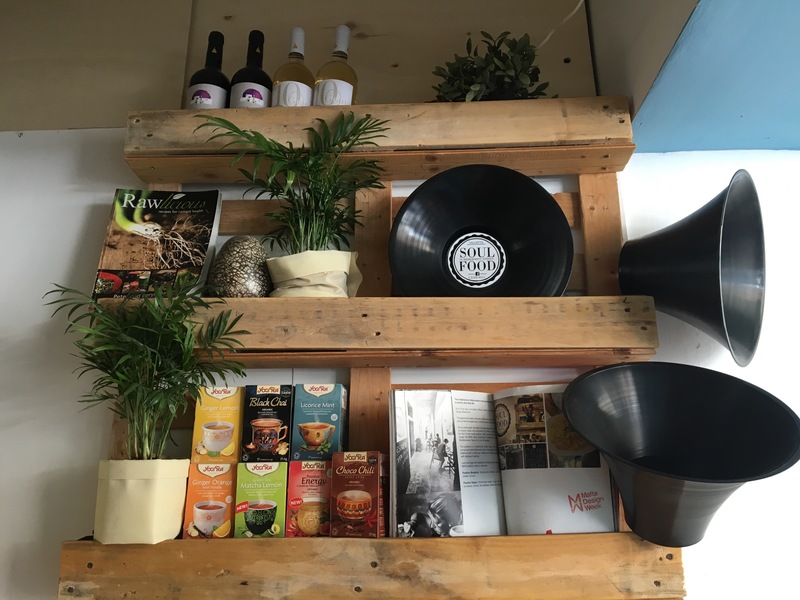 Here’s four vegan cafes in Valletta, Malta that you need to check out! 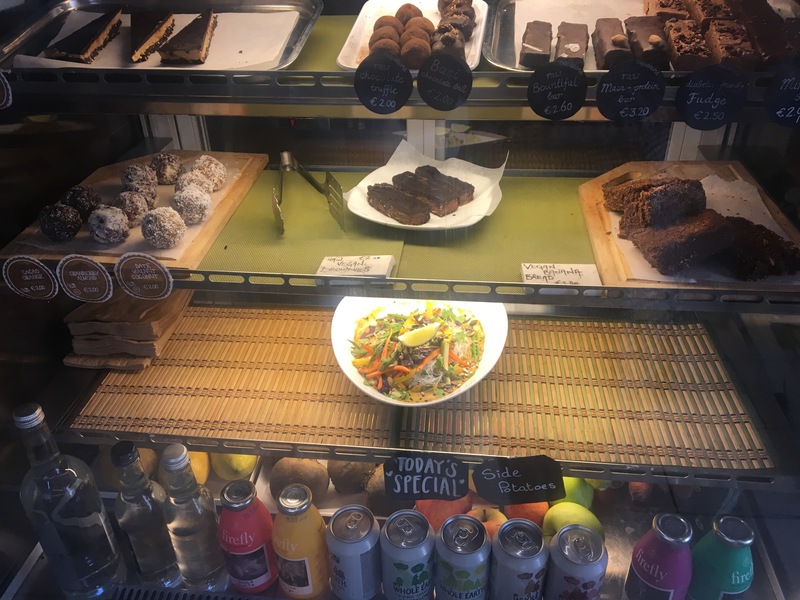 Gugar– This place has savory sandwiches, smoothies, and cocoa balls for dessert. They have a backpacker, worldly vibe with cozy seating. You’ll find people eating outside on the steps enjoying the summer heat and a relaxed environment in this cafe. The locals describe the place as “hip” and “where the young people hang out”. They also offer local beer! 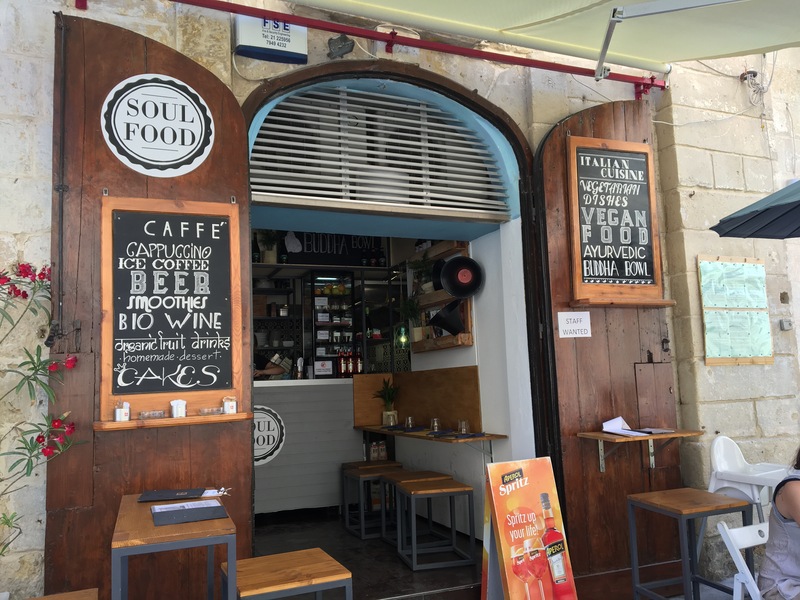 Soul Food- Everywhere you look in Malta you will see “Vegan Food!” And since Malta is so small, and Valletta even smaller by comparison, you only have to walk down the street to try another cafe. Soul Food has an amazing Buddah Bowl that will leave you feeling rejuvenated and fresh in the slow summer heat. With fresh vegetables, hummus and pita, you’ll be feeling the Buddah belly if you can finish the plate. They also offer desserts and have a outdoor seating near the city center. 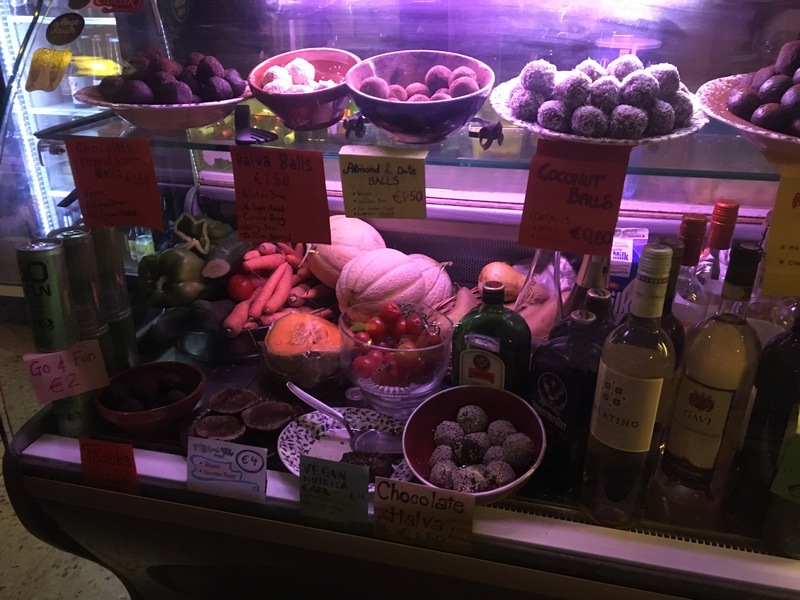 They offer coffee, organic wines, and dessert like vegan carrot cake. 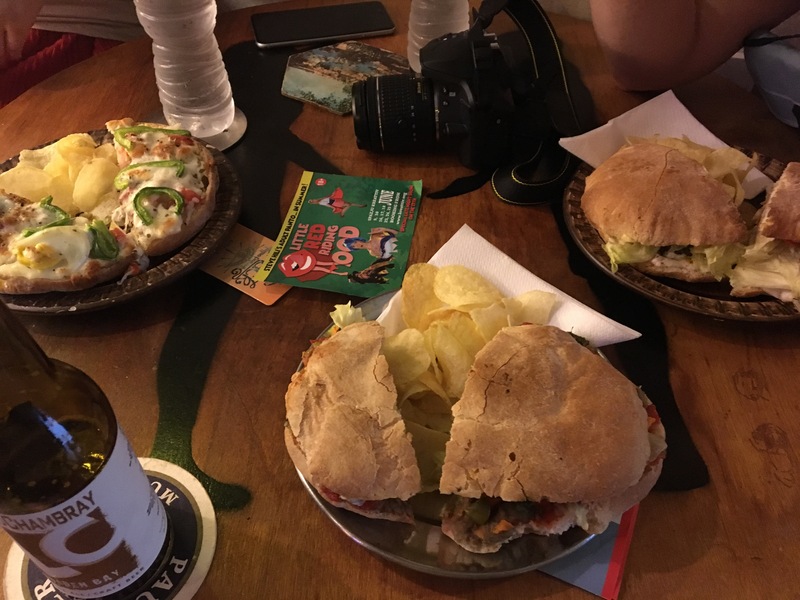 The Grassy Hopper- This was my absolute favorite place to eat while staying in Valletta, Malta for study abroad. It had savory food that was great for take away! 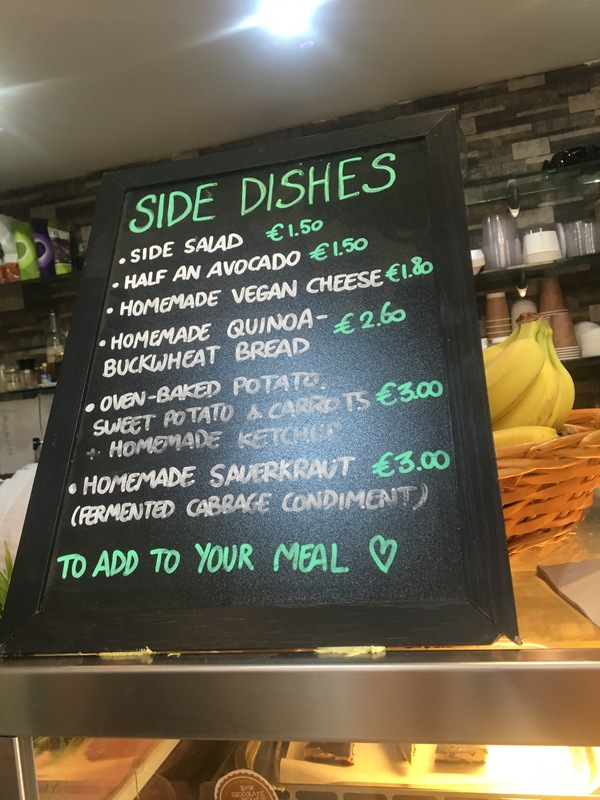 My favorite was the beetroot and bean burger with extra vegan cheese, the creamy quinoa and avo salad, and the scrambled tofu. They also have great coffee. Their food was filling, comforting, and healthy. I ended up eating here every day, sometimes twice a day! They also have great vegan desserts like carrot cake and fudge bars. Keep in mind that Malta is on island time, so The Grassy Hopper may open later (a lot later) than their sign says, and they take their time making your food. So don’t stop here if you’re in a rush, but then again… you should never be in a rush while in Malta! Slow down and enjoy yourself. 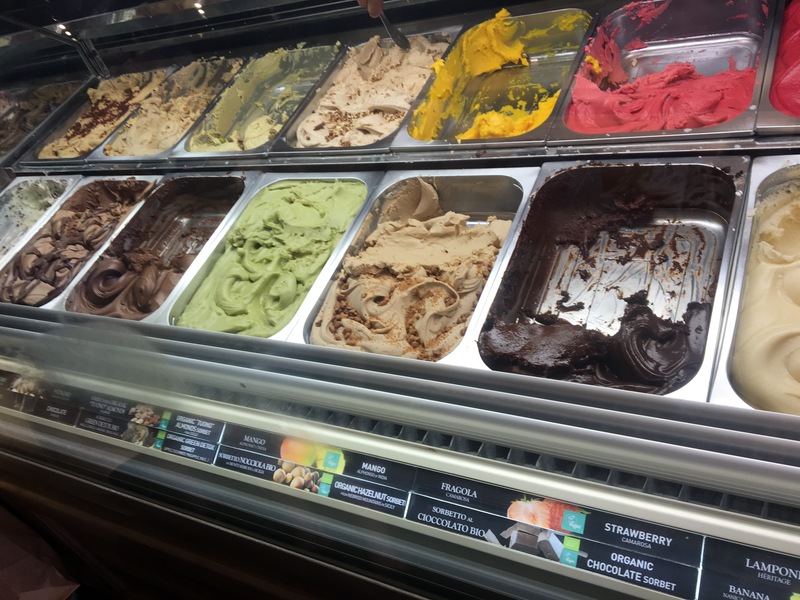 Amorino– Being only a 15 minute flight away from Italy, they of course have gelato! Their flavors include regular, organic, and vegan gelato. Amorino is a chain you may be familiar with. The offer fruity as well as sweet flavors. 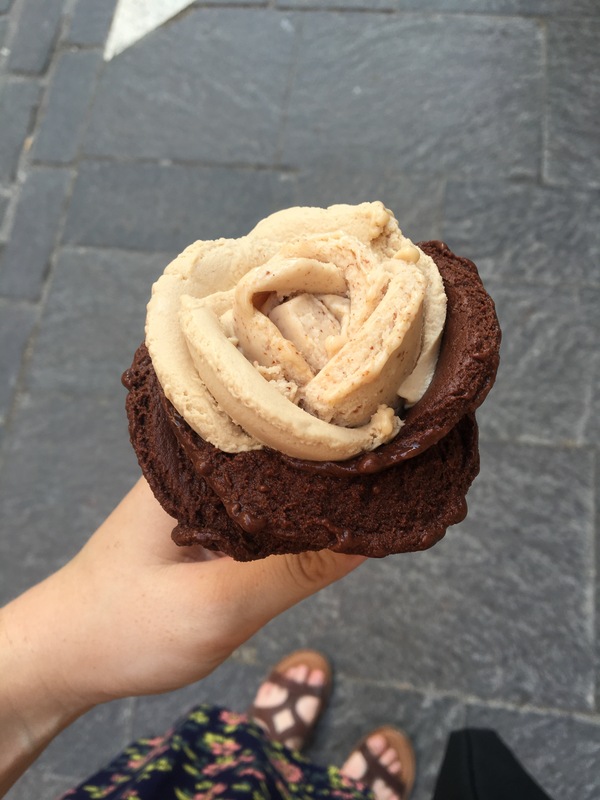 And they shape the gelato into a flower with as many flavors as you want! They also let you sample any flavor you’d like. This place is always bustling in the Malta heat. Pictured below is hazelnut, chocolate, and coffee flavored vegan gelato. 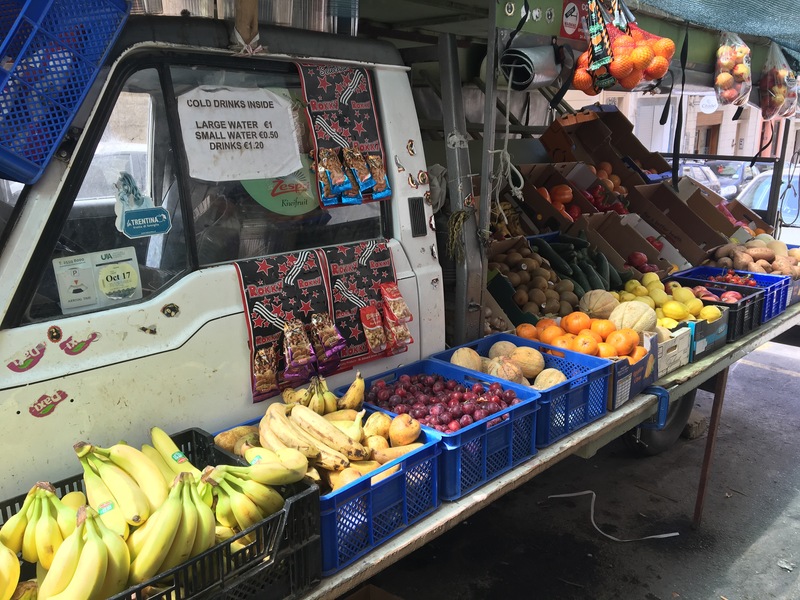 Of course, if all else fails… there’s always your local vegan grocery store with a large variety of fruit.